Stair Rods, Stair Runners, Door Thresholds & more from Stair-Rods Direct. Although an existing site was already in place, the client was aware that the level of service and client response could be improved. With a great reputation for managaing small business sites, we were an obvious choice to remedy the situation! 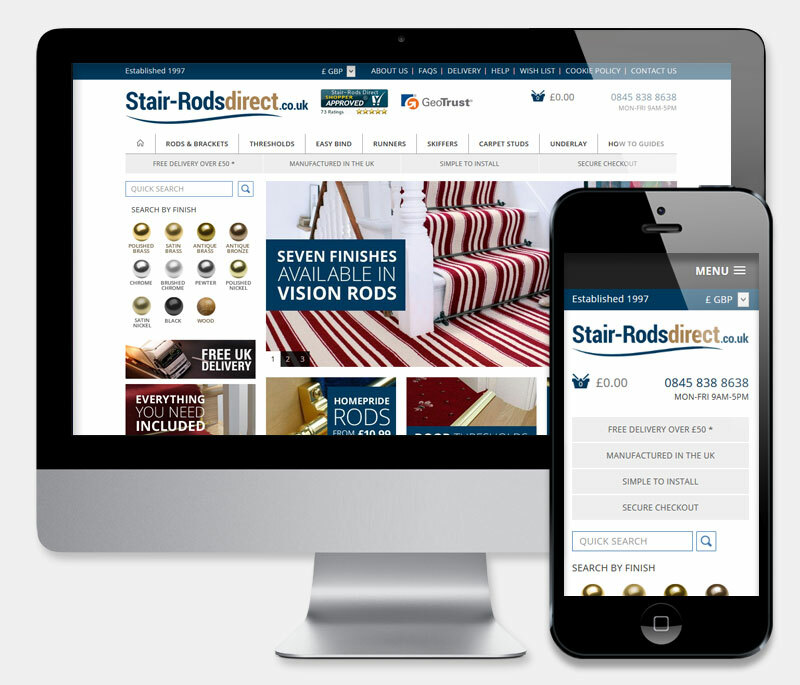 The Stair Rods Direct website was re-designed in ColdFusion, allowing for easily updatable client content and rapid team response from our dedicated developers. Website products feed directly to third party services and multiple payment providers (paypal, paypoint) make for more flexible online purchases. The new design is fully responsive so that the website looks great on any device and on any screen size. A lot of work went into streamlining the experience for mobile and tablet users. I just wanted to write and thank the team for doing a great job on the new site. As always, it ran very smoothly, and I think we have a great product at the end of it.